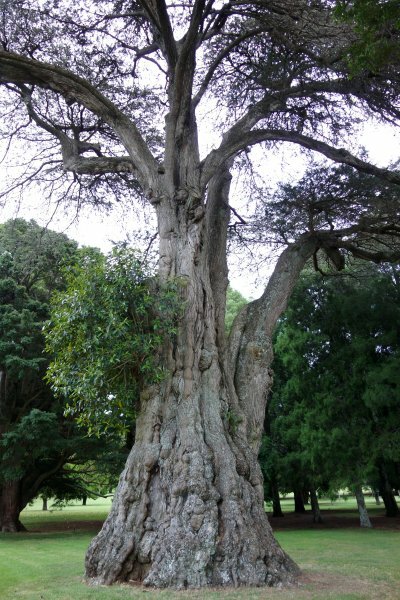 A large macrocarpa, highlighted as one of Cornwall Park's feature trees on its tree trail. Located near the cricket ground, it currently hosts a epiphytic Ficus (probably F. macrophylla) that may result in a impressive pseudo-trunk if left for many decades. 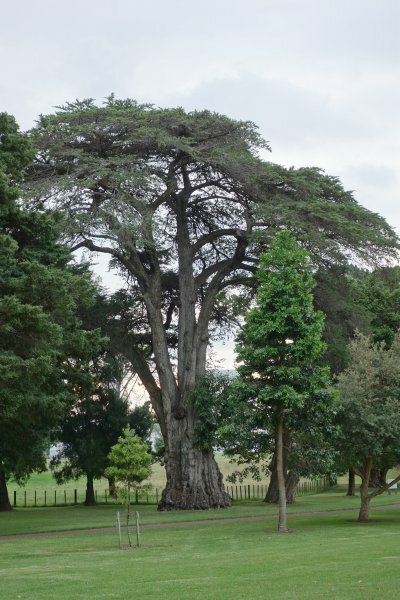 Robert Van Pelt noted a larger, multi-stemmed macrocarpa at the park, but that may be the large macrocarpa set on fire and subsequently removed in 2011, leaving a large stump between the information centre and the summit of Maungakiekie/One Tree Hill. See Cornwall Park Tree Trail, accessed 2016. Typical for large old macrocarpa. 10 Feb 2016 Smillie, M.J.
01 Jan 1969 Burstall, S. W.